Mayor G.T. Bynum and the Community Service Council (CSC) recognized 13 companies today for becoming Veteran Employer Champions. 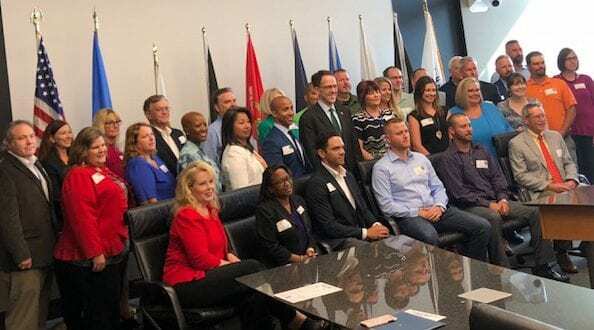 The Veteran Employer Champions program was created after a statewide survey was launched at the Governor’s Veteran Symposium in October 2017 with the goal of building an employer network to create programming and peer-to-peer learning for organizations interested in recruiting, hiring and developing veterans in the workplace. The City of Tulsa is taking a lead effort in expanding employment opportunities for veterans within the Tulsa community. 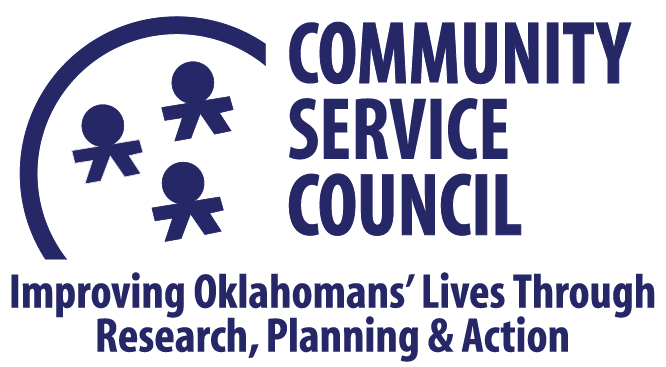 The Community Service Council and the Warrior Partnerships of Eastern Oklahoma Employment Committee developed a scoring rubric and survey process to carefully identify Veteran Employer Champions in Oklahoma and the Tulsa region. This is the first year for the Veteran Employer Champions recognition. To become recognized as a Veteran Employer Champion, companies must meet six benchmarks, including: Veteran hiring and recruiting; veteran resource groups, onboarding, or buddy programs; veteran programs and community support; veteran employee resources and/or supports; veteran executive sponsor leading veteran strategies; and guard and reserve employee supports. The 13 companies recognized today include: American Electric Power/Public Service Company of Oklahoma; Baker Hughes, a GE Company; Blue Cross and Blue Shield of Oklahoma; CenturyLink; Chesapeake Energy; Enterprise Holdings; FlyingTee; Goodwill Industries of Tulsa; Lowe’s; Northeastern State University; ONEOK; Spirit AeroSystems and Tactical Electronics. 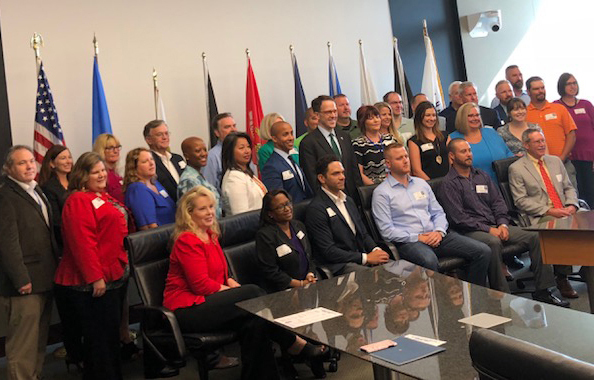 Partners of the Veteran Employer Champions are the City of Tulsa, Community Service Council, DR Consulting, Oklahoma Department of Veteran Affairs and Warrior Partnerships of Eastern Oklahoma. 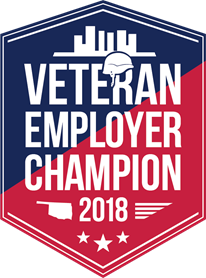 If a company is interested in becoming a Veteran Employer Champion, please contact Pete Luitwieler, Program Manager for CSC’s Oklahoma Veteran Connections and Warrior Partnerships of Eastern Oklahoma, pluitwieler@csctulsa.org.